Gowi Toys 12 pc cooking set is great fun for little helpers. 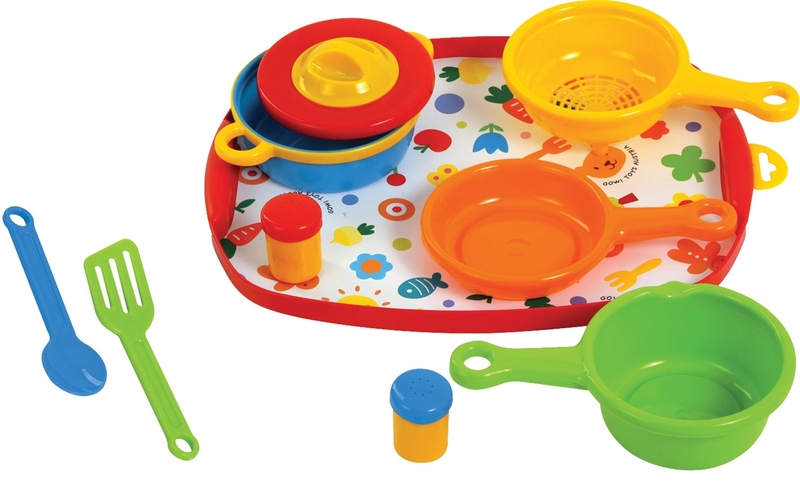 Set includes 15" x 11" serving tray, saucepan, pot, strainer, casserole dish, salt & pepper shakers, spatula and serving spoon, all in bright colors and durable plastic. For ages 12m+.